Wondering how exactly to do a fairy tale inspired photoshoot? Click here to read some of my tips on what you will need and how you can make it more magical. For tips on easy ways to add Disney inspired props, backgrounds, and so on for a specific character, scroll down below! We are fortunate enough to have a botanical gardens near us that has a children’s section that has statues of overgrown produce for the kids to play on, including mushrooms. This seemed like a perfect spot to take some Alice photos. But if you don’t have something similar near you, I found that just going to the park with a teacup or a couple of stuffed animals works well too. If you have any fancy or unique looking chairs, you may want to pose your little Alice (or Mad Hatter) in these as well. For the costume, I actually used the dress my daughter wore for her Alice in One-derland birthday party. She had been drowning in it before (I had to pin it in the back), and it was a little snug on her now, but thankfully, because my daughter is so petite, that was one less thing I had to worry about. Pair that with a black headband, a pair of tights, and some black shoes, and bam! Alice is done. 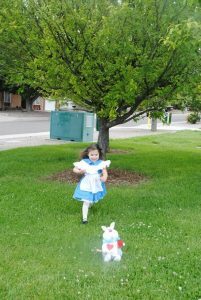 Disney Diva Tip: I really wanted to do some white rabbit photos of her with a rabbit or following a rabbit, but unfortunately, no one I knew had a rabbit, and I don’t think our dog would be very happy if I tried adding one to our household. However, if you know someone who has a white rabbit (or if you don’t mind adding one to your family), this can be another great shot! For Beauty and the Beast, the most obvious place for me to take pictures was at the public library near our house. Disney Diva Tip: If you don’t want to have books with barcodes on them, you could also try your local bookshop as well. 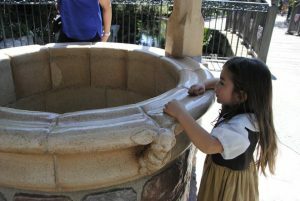 Other locations I chose included one of the local parishes by our house where I knew they had a beautiful fountain that reminded me of the one from the song “Belle” and believe it or not, one of our local hotels. The Sheraton Hotel in town has a beautiful ballroom and chandelier, and I knew it would be perfect for some ballroom pictures. Fortunately for me, when I called over and explained what I wanted to do, they graciously agreed to let me come and take pictures there (for FREE). I was only there about fifteen minutes, but I was able to get some great shots, and I really appreciate how accommodating they were. It’s amazing how many doors will open for you if you just explain what you would like to do and ask nicely! For the dresses, I used Mom Approved Costumes Belle Day dress, as well as a ball gown that one of my friend’s mother-in-law had made. 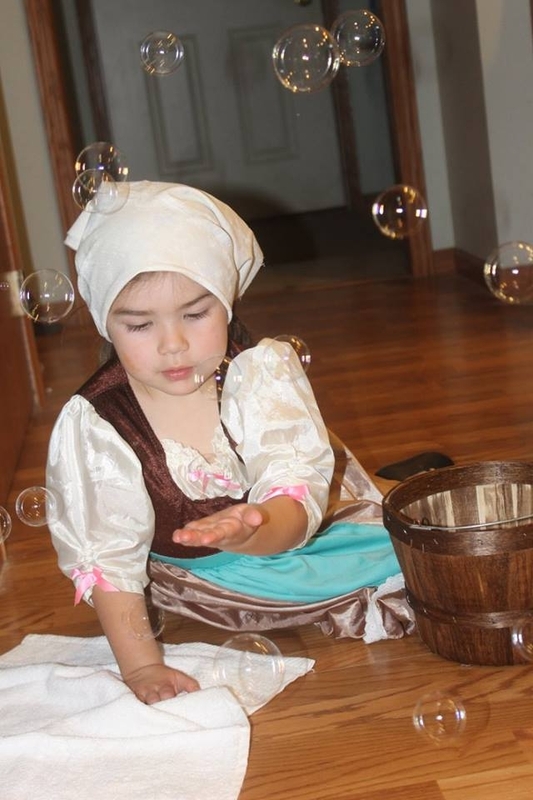 I couldn’t find yellow or golden looking gloves to match, but I did have a pair of white gloves for Cinderella that my daughter really wanted to wear. And since it was her photoshoot, we broke away from authenticity to let her wear the gloves that she wanted to wear. I’m sure the wardrobe has more than one pair for Belle to wear right? As far as props go, I was fortunate enough to have a few lying around our house. Old looking books can be pretty easy to find, and my daughter had a Mrs. Potts and Chip figurine from her toy tea set that we were able to use. I was also fortunate enough to have a “light up” enchanted rose from my best friend’s wedding (she had a Beauty and the Beast themed reception and her extremely talented dad was able to make these for her centerpieces.) Other props that I wish I had but haven’t been able to cross them off of my Disney “Must Buy” list are these figures of Cogsworth and Lumiere from the Disney Parks (or Disney Store.com). If you have either of these, or don’t mind shelling out the extra cash, I think these would be great… plus look how adorable they’d look in your home afterwards?! 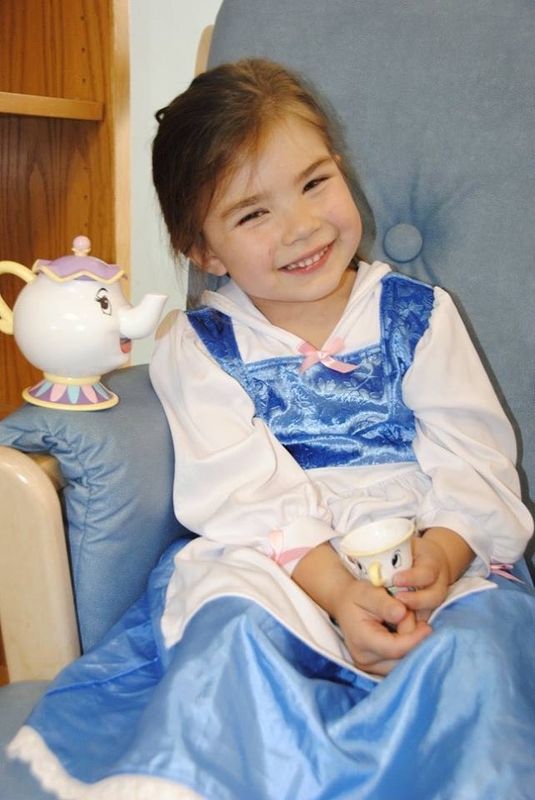 We had two dresses for this, the Cinderella day dress and the Cinderella ballgown, both from Mom Approved Costumes. I ordered the headband and choker from Mom Approved Costumes as well, and found the gloves at Party City. For glass slippers, we actually had a variety to choose from… my daughter’s dress up shoes, a pair of costume glass slippers my sister had bought me for when I was getting married, and tiny Cinderella glass slippers that we had left over from our wedding favors. This was my “big splurge” costume. 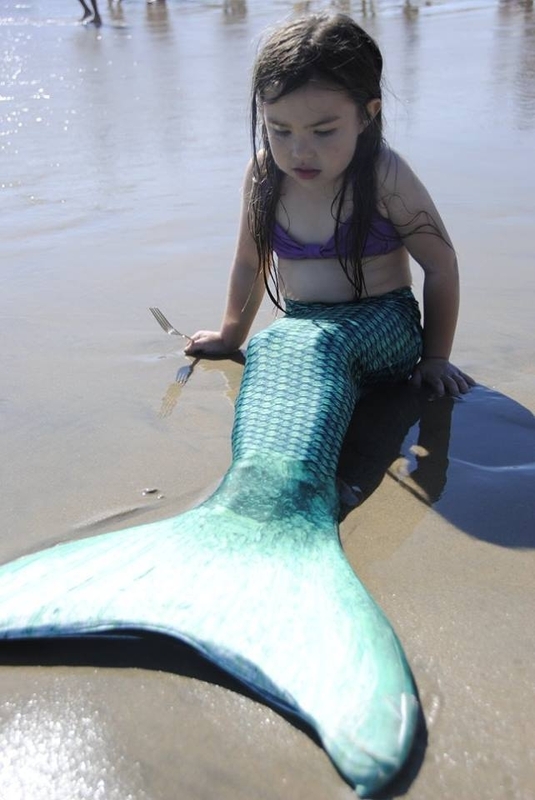 I loved the Fin Fun Mermaid outfits, so while it was definitely more than I would’ve liked to spend, I knew I had to get one for my daughter… and hopefully it’s something she can play and swim in on special occasions too. Disney Diva Tip: The top was a little small in my mind… if I had to do it again, I might order a bigger size, or at least a tankini to make it a little more modest. While I did spend a lot on the costume, the props and location were free. I pulled a fork out of our kitchen drawer to use for a dinglehopper, and we ended up taking pictures at Corona del Mar Beach in southern California while visiting my family. Not by an ocean? No problem! If you have some sort of body of water nearby (preferably with sand surrounding it), you can always try and take some photos there. So while this isn’t what you would consider your normal Disney fairytale (unless you count the Silly Symphonies from the 1930’s or the live-action version of Into the Woods), it is a traditional fairy tale, and I wanted to include it in our photoshoot. I live in the desert, surrounded by a bunch of mountains. It doesn’t really make you think “forest”. But fortunately, I knew I was heading to Minnesota to have a family reunion and celebrate my grandma’s 95th birthday, and Minnesota has beautiful forest settings. I was also able to take some near a small trail by my parents’ house. True, there’s no wolf, but I think I was still able to capture the essence of Little Red Riding Hood (though now that I think about it, I wish I would’ve gotten pictures of my grandma or mom and my daughter for Little Red Riding Hood and her grandmother). As far as the costume went, we kept it pretty simple. 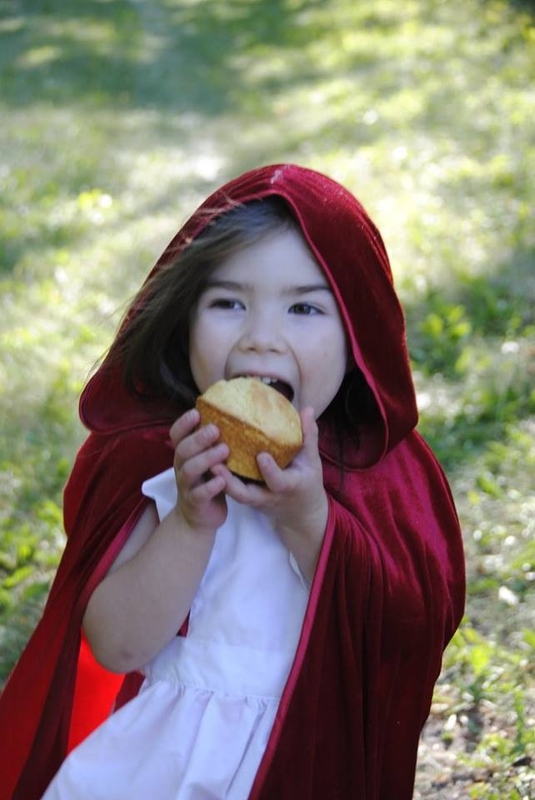 I used the red cloak from Mom Approved Costumes, and then just had my daughter wear a dress underneath it. For the props, I baked some muffins, and put them in a basket lined with some extra fabric that my mom had lying around the house. Fairly simple, but it worked out rather nicely. 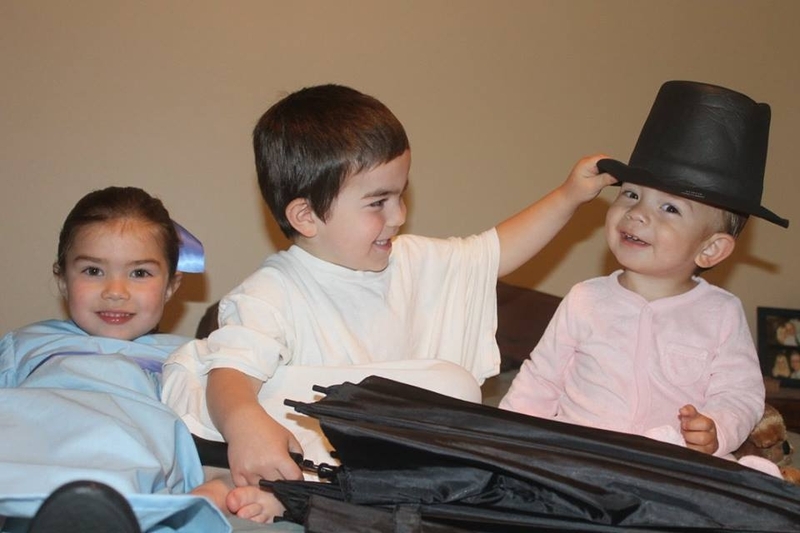 One of the things I liked about the idea of a Peter Pan scene was that I could include all three of my darling children as the Darling Children. For my youngest son playing Michael, I found some pink footed pajamas on clearance at Carter’s (though if you have any totes with old baby clothes, you may be able to save money and reuse those, I just didn’t have time to look) and gave him a teddy bear. For my older son, I had him wear one of my husband’s white t-shirts, handed him an umbrella, and let him use an old black top hat we had bought at Hobby Lobby a couple years ago. Wendy was a little trickier, but thankfully, I was able to get her dress and hair bow from SoCute2 on Etsy. The seamstress, Marilyn Rigaud, is very friendly, talented and quick at getting your order sent out. I also gave my daughter a little wooden jewelry box to look in (as if she was looking at Tinkerbell inside). 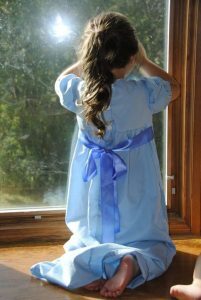 For other props and the location, we just used my parents’ house including the bay window, where my happy coincidence, when I photographed my daughter looking out the window, the flash from the camera made a reflection that looked like it could be Tinkerbell or some other fairy, making for a really unique effect. 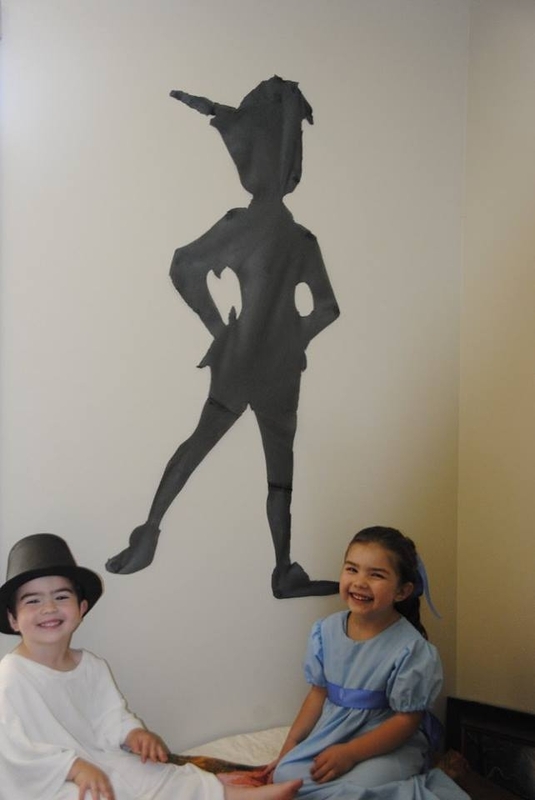 My mom also helped me make Peter Pan’s shadow out of some black cheesecloth looking fabric (I forget what it’s called off the top of my head). We used my husband’s projector and projected a clipart image of Peter Pan onto my parents’ wall. From there, we hung the fabric on the wall, traced the image onto the fabric, and cut it out. And as an added bonus, if I ever get to do a photoshoot with my sons as Peter Pan, I now have a prop I can use to do take some pictures of Peter Pan and his shadow. 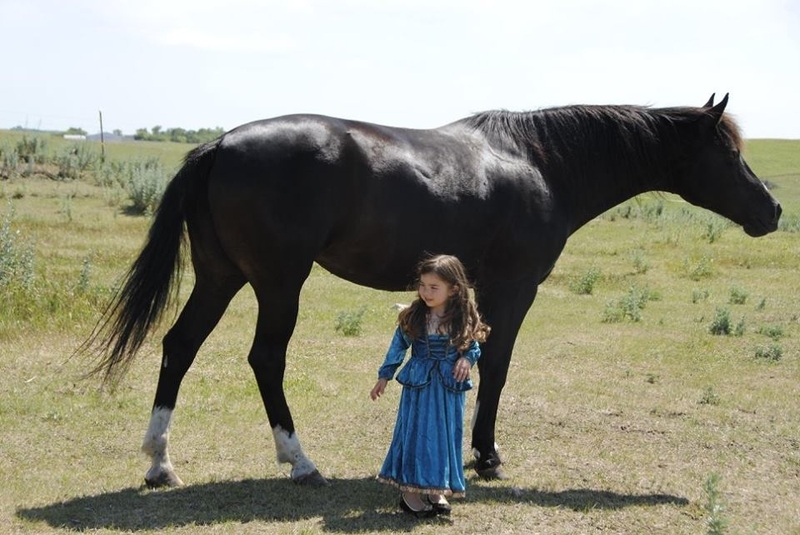 My daughter had a Merida-inspired dress, but since Merida isn’t from a traditional fairy tale, I wanted to go with something else. 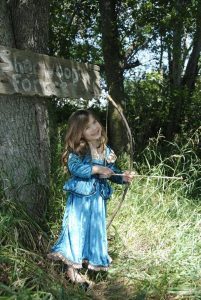 Maid Marian seemed to fit the closest as far as style goes, and so our Mom Approved Costumes Merida dress turned into a Maid Marian ensemble. Now as you might notice from the other fairy tale recreations, my mom played a key part in bringing my props to life, particularly when it came to this scene. 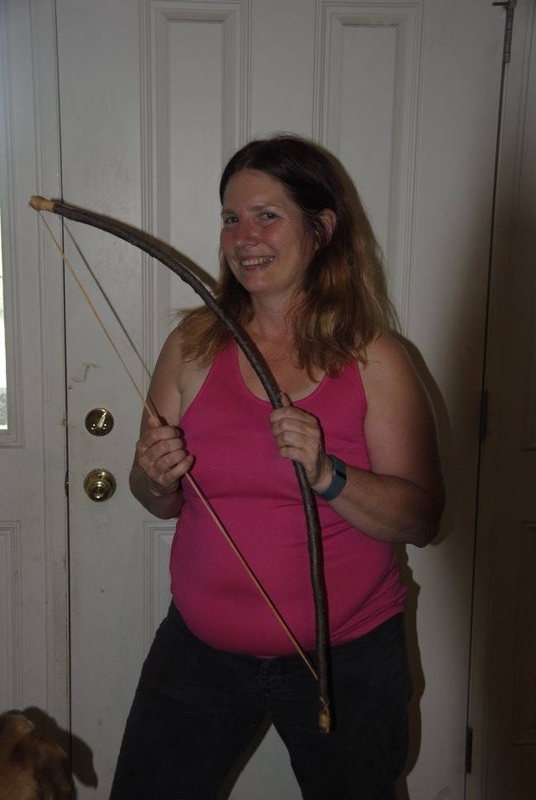 My parents live out in the country, and so my mom found a long stick in her yard to make the bow (along with some sinew my mom had in her sewing room because my mom loves Native American stuff and she is just that awesome to have real sinew lying around their house.) For the arrows, she again used some sticks in her yard (as well as some feathers she hot glued and pinned onto the arrows to keep them in place. For the arrowheads, my sister sent me some arrowheads from the Native American Museum in Sacramento, and my mom used more sinew to tie those around the arrows. She also found some old weathered wood to decorate and paint “Sherwood Forest” onto as a sign, and then we printed some “Wanted posters” off the internet to hang in my parents’ yard as well. 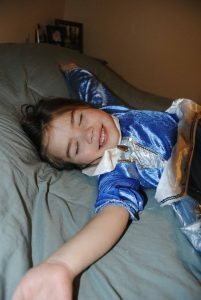 For the Sleeping Beauty dress, we actually used two… one from Mom Approved Costumes, and another from my friend with the talented mother-in-law. Both were the blue version of Aurora’s dress, and both were equally beautiful. 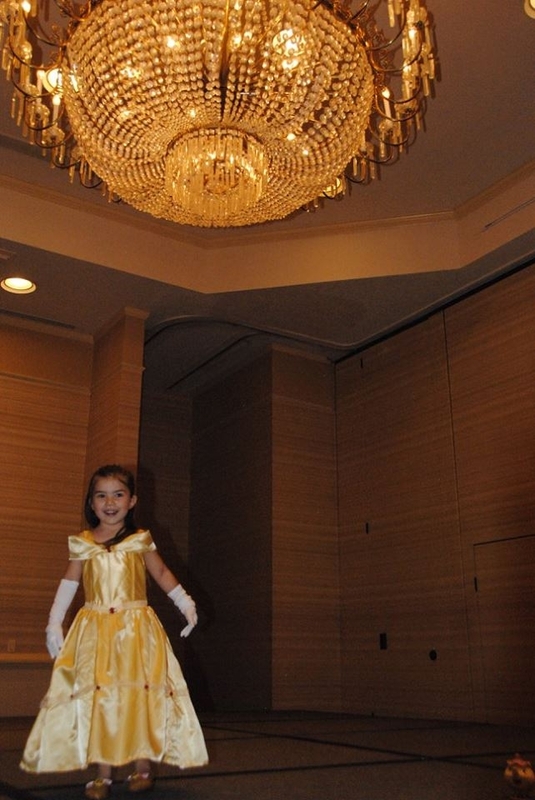 I also used the gold tiara from Mom Approved Costumes to complete the look. For props, we kept it simple. I really wanted to make a spinning wheel like the one I read about here, but we never got around to doing it. So we opted for a bed, and a rose for her to hold. Fairly simple, but it worked. I think this was my daughter’s favorite photoshoot… mainly because she kept hamming it up and showed you all the ways she thought Aurora would be sleeping. For Snow White, we had two beautiful dresses- the traditional, Snow White princess dress (which we again, borrowed from my friend with the talented mother-in-law) and her ragged dress, which Marilyn Rigaud from the Etsy shop SoCute2 graciously agreed to custom make for my daughter. Disney Diva Tip: I love this dress! It is so unique! If you love it too, you’ll be happy to know that in February, we will be partnering with SoCute2 for a giveaway for a chance to win this beautiful dress (in the size of your choosing)! 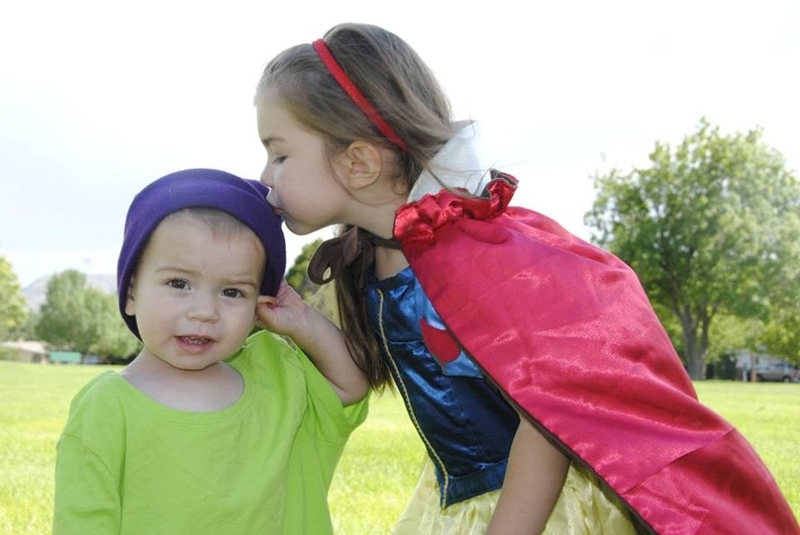 For props, we of course had to use an apple, but I also dressed my youngest son up as Dopey (complete with purple beanie, a green t-shirt, blue pants, and Dopey shoes from the Disney Store). I was also planning on using a broom, but we never got around to it. For location, we went to a park for the Snow White and Dopey scenes. 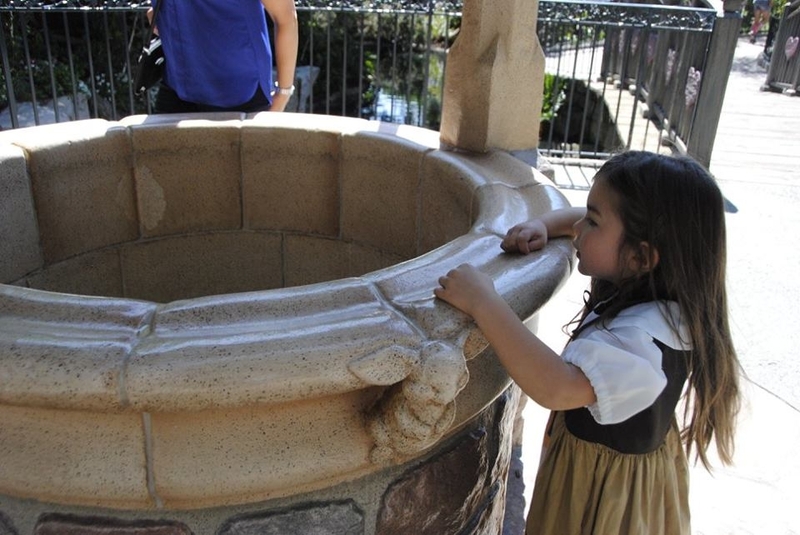 For the ragged dress scene, I actually had my daughter wear the dress on our last Disneyland vacation and took pictures by Snow White’s wishing well. 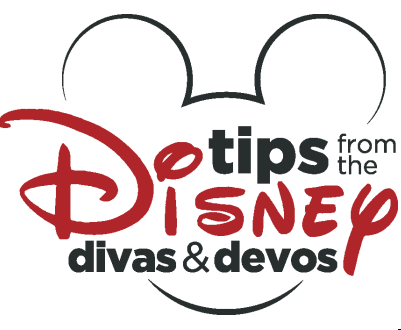 Disney Diva Tip: I loved the location (even if my daughter was a little short, but my biggest problem was we weren’t the only ones who wanted to take a picture. Trying to get the right angle without people photobombing our picture was pretty much impossible, so be prepared to have to crop stuff out… or try and take advantage at a time when it is less crowded, generally later in the afternoon. Not wanting to leave my sons out, I was able to do a scene with my older son as Christopher Robin. His costume was easy… he had a yellow polo shirt and a pair of blue shorts. We also have stuffed animals of all of the Winnie the Pooh characters that I bought from the Disney Store for my daughter when she was a baby. 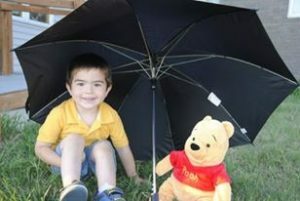 So pairing my son with Winnie the Pooh was extremely easy. We also reused the black umbrella from the Peter Pan scene and a blue balloon for props. And while I haven’t had a chance to do it yet, I do want to take some more photos of my son and our stuffed animals playing “Pooh Sticks” on a bridge by our house. Again, not really a “Disney” fairy tale, but a great American fairy tale nonetheless. 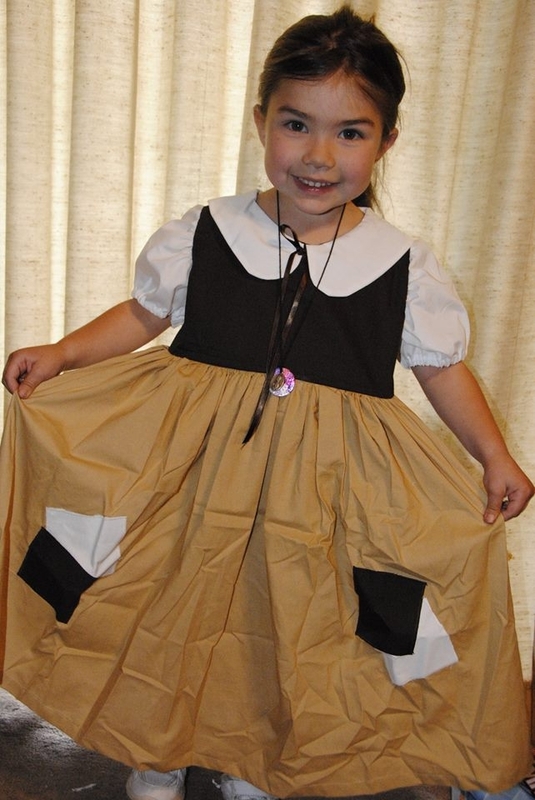 For this outfit, I found a pair of “ruby” looking slippers at Walmart, and for the dress, I was able to use a costume one of my friends had made for her daughter for a previous Halloween. As far as props go, I really wanted to a basket with Toto in it, but again, that didn’t happen. But where I lacked in having a Toto, I more than made up for in location. One of the locations where L. Frank Baum (the author of the Oz books) lived happens to be the town my dad grew up in. The city has a whole section of their free children’s theme park, Storybookland, dedicated to “The Land of Oz”, complete with a yellow brick road, munchkin homes, talking trees, and statues of the Oz characters. 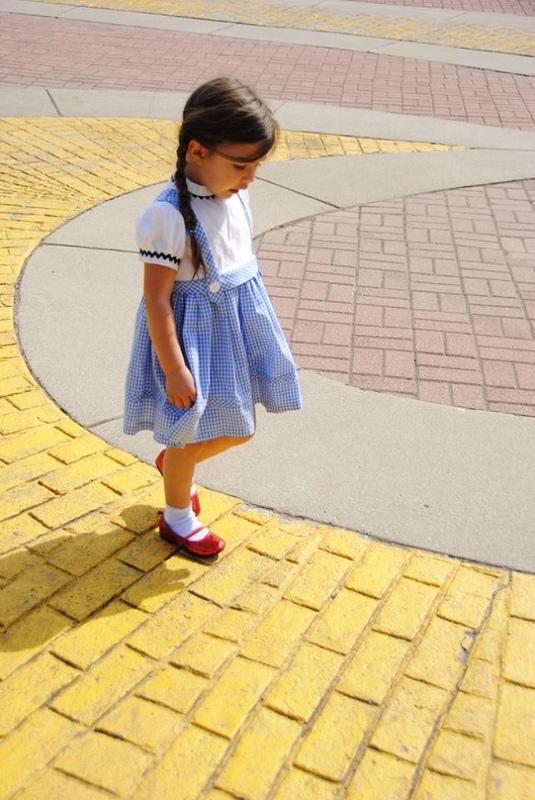 I knew when we were heading back to that part of the country that making a trip to Storybookland and The Land of Oz was a must for our photoshoot. These are just a few of the ideas I came up with for my daughter and our project. Have you had a photoshoot of your own? What are some of your ideas? Feel free to share in the comments below!